Create an underwater haunted house with witches, vampires and ghosts. Build up your spooky Fishdom. 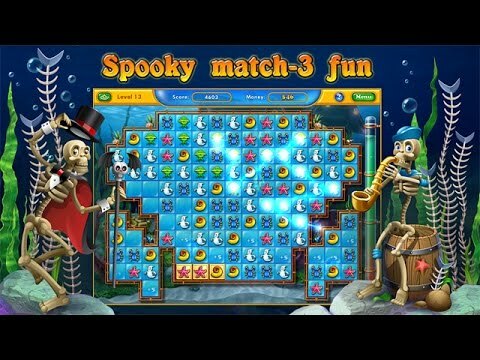 Earn cash as you complete addictive tile-swapping levels and spend it to fix up your spooktacular tank. Create the eerie atmosphere of an underwater haunted house with witches, vampires and ghosts in your aquarium. Have fun taking care of quirky tropical fishies and adding boo-tiful accessories to the virtual aquarium of your dreams.